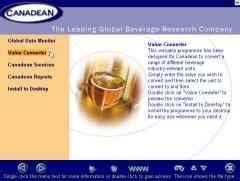 Navigate through the program by clicking on either the menu text, video style play buttons or pressing the arrow keys. 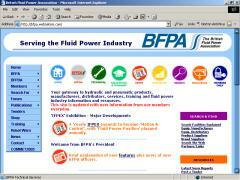 The layout is usually similar to a website so that most people have no problem finding their way around. Simply needs to use a word processor (e.g. Word, WordPad, Word Perfect etc.) to change the menu text into their own words. They can add as many menu levels as they require. 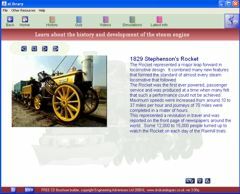 Every time the user places their mouse over a menu item (or steps through the program using the button or keyboard controls) a new picture and text may appear. This can provide summary information about the contents of the next section or perhaps your full product details for example. Need only place a picture and/or text in the correct directory for it to appear. *.avi, *.wmv or *.mpg videos. *.wav, *.mp3 or *.wma sound files. Again, the creator only needs to drag and drop these files into the correct directory and give them the correct name for the program to work. 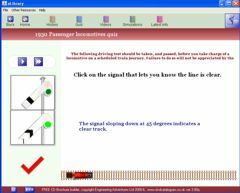 You can add your own multiple choice question as a separate section or at any stage within a presentation. The person using the program is far more likely to remember the content if they have to make a decision and interact with the computer to enter the result. You can also add questions that require the user to enter the correct word, phrase or number. You can add questions very easily using our CD Editor software or simply by editing a text file. Even on our FREE ad ware version you can replace our background design with your own corporate design and program title by simply editing or changing the logo.gif (or .jpg) picture. The navigation text and menu bar colours can also be changed very easily using the CD Editor software as with the website and email address hotlink buttons etc. You will need the full version to replace our logo at the top of the screen with your own company logo as well as removing all of the additional product information links from the resources menu. By changing the embedded graphics we can make the eLibrary look just like to your existing company website or other corporate literature. 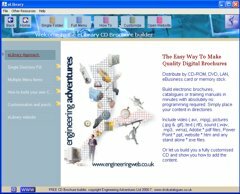 This provides by far the cheapest and most effective way of designing both a unique and powerful company CD-ROM or DVD. The price is usually under £1000, but please ask for a quote against your requirements. Our standard version normally covers 80-100% of most company requirements. However, for the most effective eCommunication tools you sometimes need a little more. 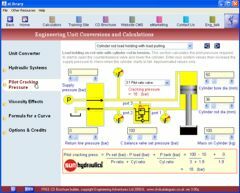 100% custom simulations are often the most advanced way of achieving this. If required however, we can simply integrate these specialist modules into your standard eLibrary system. This can result in significant cost savings while still providing the most powerful solution available.